GSHA is an approved ASHA CEU Provider. As such, it hosts several continuing education opportunities throughout the year. In addition, it co-sponsors with other entities to offer various educational programs. For more information on co-sponsoring an event with GSHA, contact our headquarter offices at (407) 774-7880, or email us at [email protected]. To view a calendar of upcoming continuing education events, click here. 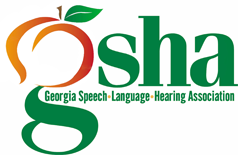 Serving the needs of Speech-Language Pathologists and Audiologists in the State of Georgia.